This post is not meant to relive my past or prolong my future. Much has been written in academic journals about the negative effects of specialization in youth sports and unrealistic expectations of players, coaches and parents. For example – increased injuries, parental abuse and corruption – all of which can vary, depending on a variety of factors ranging from location of events, league organizers to player participation. I am a firm believer in playing multiple youth sports and then choosing one to focus on in adult years. In my case, I played a variety of sports, one of which was swimming – which I enjoyed throughly thanks to competent coaches, good infrastructure and well-organized leagues. 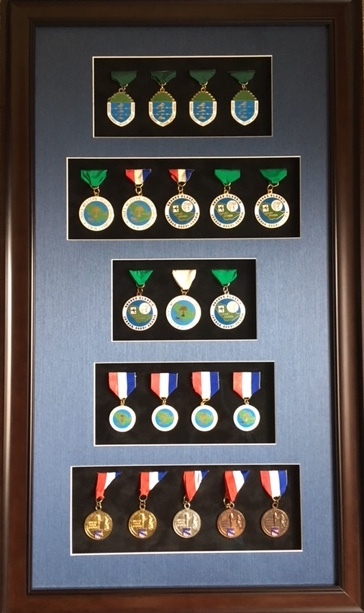 Saudi Arabian Western Region Expatriate Swim League (WRESL) medals won by Tariq Mohammed 1988-89. After winning a few swim meets for my age group and going on to break national swimming records, I went through a process of readjusting my expectations and hopes. My parents and coaches provided positive encouragement during my swimming years. I was guided by them to take an alternative route in my sport journey because I did not have the height or reach to compete as an elite swimmer. This was tough to hear for a 12 year old especially when my swimming times were good enough to compete at an international level. Nonetheless, I chose to listen to my coaches and parents who suggested I try a different sport. By turning my attention and focus to squash I was able to continue to enjoy the benefits of playing a sport while balancing my academics. I had the opportunity to play squash in college and the rest is history. 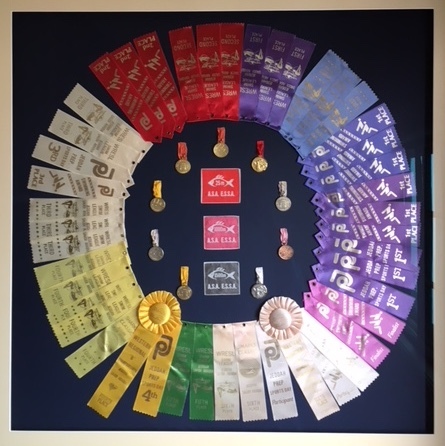 Swimming ribbons and awards won by Tariq Mohammed 1986-92. I know 30 years later of switching from swimming to squash was a good decision. Both of these individual sports are also lifetime sports. If I were a parent of a young child or a practicing coach today, I would encourage student-athletes to make the right choice for the long run to avoid over-specialization. It can be a tedious and difficult process but if players, coaches and parents can arrive at an understanding where the best interest of the player is put first then they will be able to succeed in the long run. The “professionalization” of youth sports today, in terms of sponsorships, travel teams and increasing adult participation, make it more challenging for parents and their children to arrive at decisions that will benefit them for the long run. If you are a player, coach or parent in a similar predicament – I recommend start having the conversation – to help you arrive at the right decision.